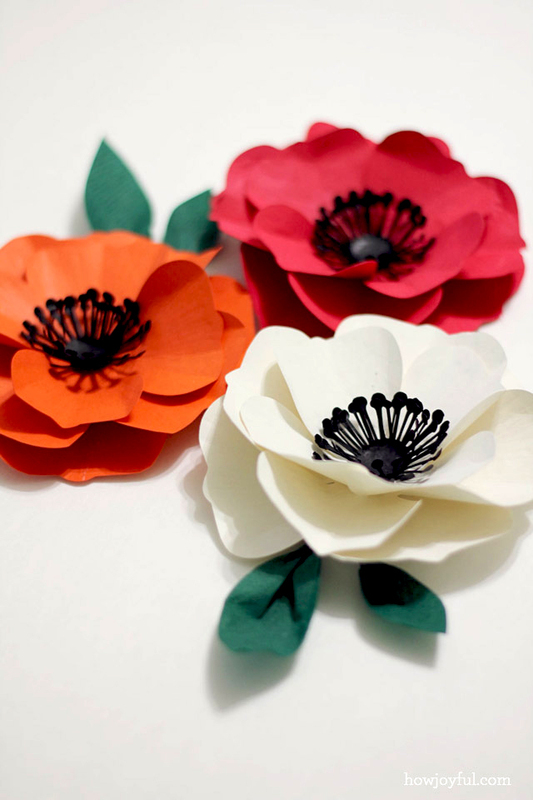 A paper poppy flower is pretty, quick and fun to make! 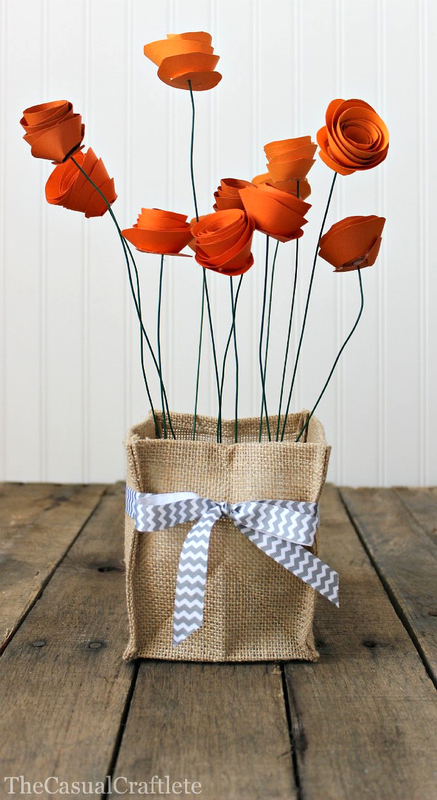 Why not add a dash of color to your world by adding some cheerful poppies to your home or office today. The next time you host a party take memorable photos in front of a colorful paper poppy flower photo backdrop. This unsual photo backdrop is sure to be the hit of your party! Your guests will love having their picture taken in front of the bright red flower wall. So much fun! 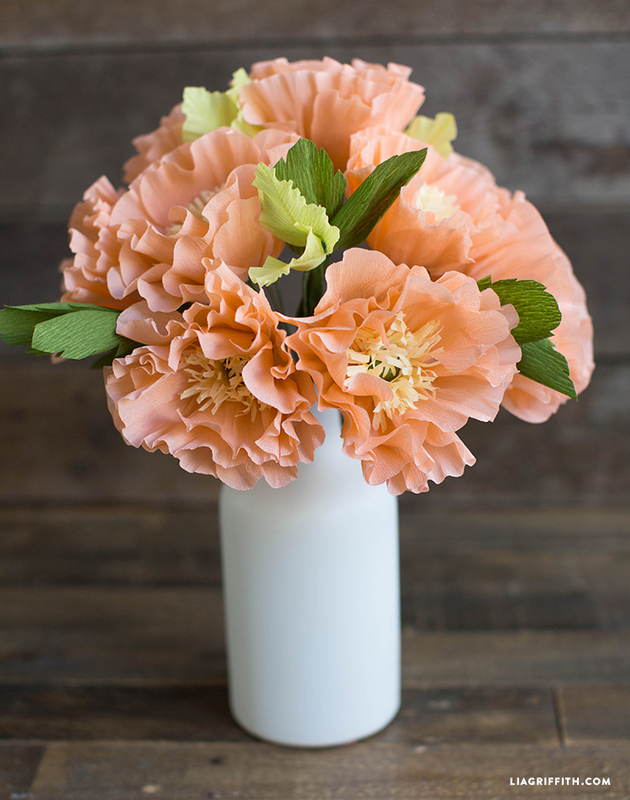 Glassine is a thin and shiny medium that makes a gorgeous paper poppy flower. Jeffery Rudell is the king of paper flower crafts, so be sure to check out his link for more excellent paper flower ideas. Poppies come in more colors than bright red! 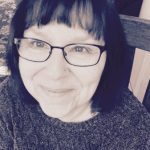 Lia Griffith teaches how to make the prettiest paper poppies from delicate peach colored crepe paper. Arrange these beauties in a vase and proudly display them on your table. These beautiful flowers will last a long time, unlike their real counterparts. 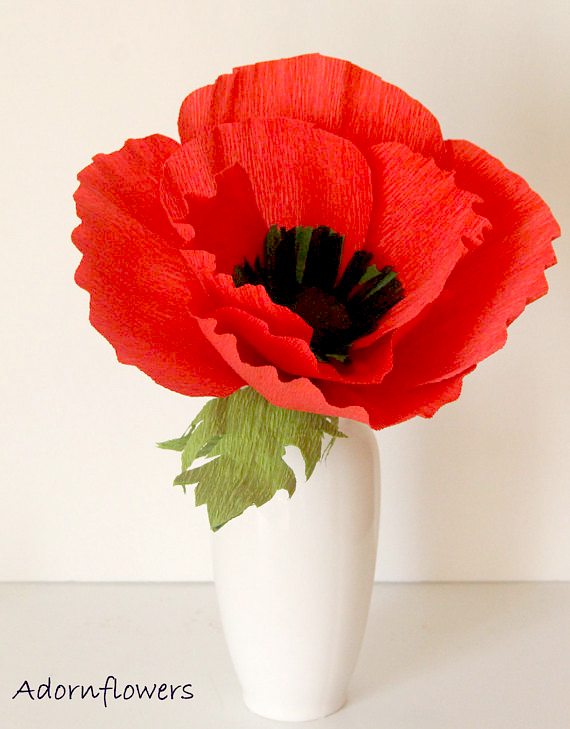 Make a stylized version of a poppy from red cardstock cut into spirals. These flowers are pure in form yet very elegant. 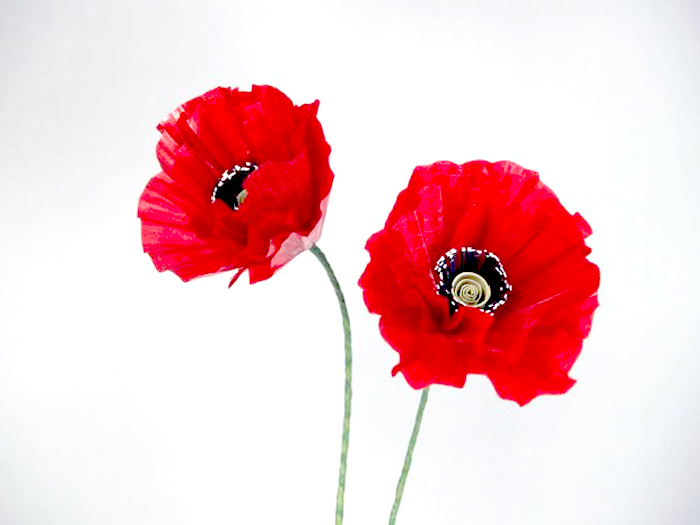 Use your electronic die cut machine to cut out these delicate poppies. So beautiful! Free cutting files are included in the tutorial. Multi-colored paper poppies constructed from tissue paper. 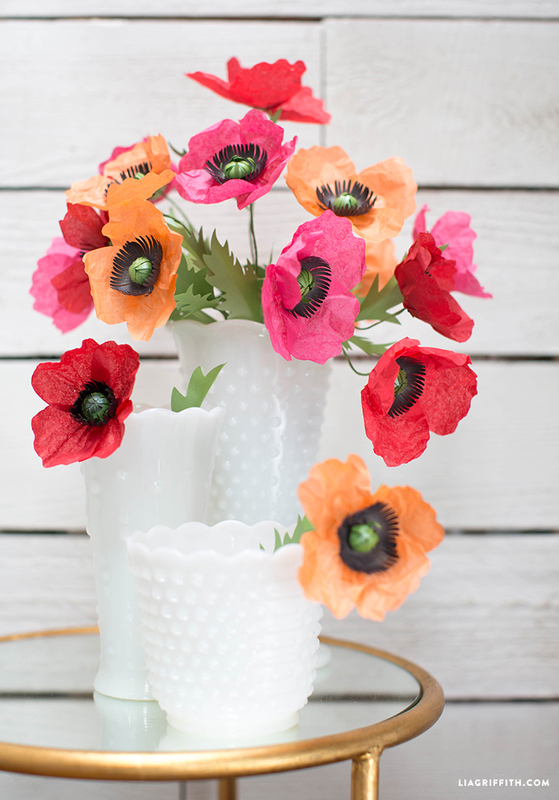 A paper poppy flower display for your beautiful home. So sweet! Make an impressive statement in your home decor with a giant-sized crepe poppy place into a white vase. Very elegant and dramatic!